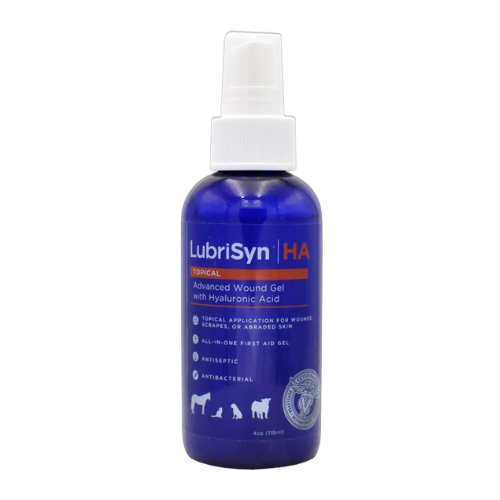 LubriSyn® HA Topical is an advanced wound gel with Hyaluronic Acid that works as an antiseptic & antibacterial formulation. Aids in the mechanical removal of dirt debris and foreign material by the action of the wound cleanser moving across the wound bed or application site with or without the assistance of a suitable wound dressing. LubriSyn® HA Topical can be used safety on horses, livestock, and pets.